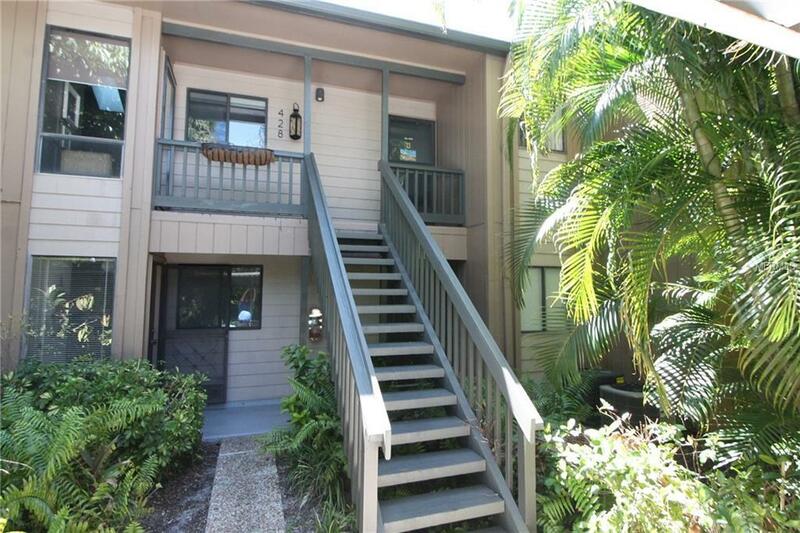 This cozy 2nd floor condo is the ideal way to spend relaxing time on a beautiful glass enclosed lanai overlooking a treed area full of Florida vegetation. The living area has soaring ceilings, tile flooring and crown molding. Owner updates: Aluminum screen wall w/screens, impact glass-enclosed lanai, living room sliders, heat - A/C unit inside and out with UV lamp to sanitize air, hot water heater, refrigerator, dishwasher, and 3-ceiling fans. Pelican Cove complex has many additional amenities including 6-heated swimming pools, 4-lighted tennis courts, shuffleboard, 3-clubhouses and well known Pelican Cove University offering lectures and classes. This area also has 5-miles of walking trails and boardwalks, bird sanctuary, botanical gardens, fishing pier, fresh water creek & spectacular coastal views and the location is just a short trip to world famous Siesta Beach & downtown Sarasota. Social events are featured monthly in the Pelican Cove Newsletter. Additional Lease Restrictions Tenants Are Not Allowed To Have Pets.